Yesterday's declines persisted after the European close, with US equities throwing in the towel after a few days of resilience. The Dow Jones slumped 225 by points to 16,123, on further evidence that the Chinese economy might be facing structural weaknesses rather than cyclical problems. The losses went on to infect the Asian session and, with no good news looking likely to arrive to provide support, there seems to be little reason for markets to buck the negative trend. Whilst the slowing China saga has picked up some steam this week, it's nothing that the markets haven't been muttering about for ages. What really has traders taking profits off the table are the possible consequences from the Crimean referendum, as investors don't want to be left holding the 'risk on bag' over the weekend. Expectations are that the pro-Russian people of Crimea will overwhelmingly vote to join Russia, and Putin will happily recognise that outcome as a legitimate expression of democracy. With the West warning of sanctions on Russia should that happen, and Russia already exploring retaliatory actions, traders fear that the situation could easily spin out of control faster than they can liquidate their positions. A bounce is expected for European indices this morning on the open but, in relation to this week's declines, the moves look pretty negligible. Whilst a little speculative bargain hunting may be contributing to today's higher open, it's probably more of a case of short covering and traders getting flat ahead of this week's risk events in the Crimea. As the diplomatic bickering gets more heated between the West and Russia, reports that Putin has casually moved troops, tanks and fighter planes to Ukraine's border is giving warning signs that something risk off is on its way. 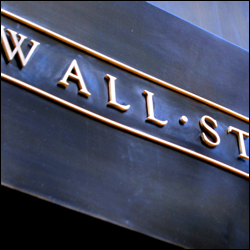 The Dow Jones managed to pare its initial losses and finished the day 8.5 points higher yesterday at 16,350. On the one hand, there were fears of a hard landing in China and concerns over the tensions in Ukraine might escalate. But on the other hand, investors were confident that the US economy is gathering pace, leading the developed world. The Ukraine crisis had been bubbling away in the background since Putin ended his huge military exercise and we hoped that the worst case scenario would be a long, drawn out diplomatic stalemate. However, the temperature looks be to heating up again as we get closer to the Crimean referendum. With EU foreign ministers ratcheting up the rhetoric of sanctions if the Crimea secedes on the one hand, and Putin stating that he will 'accept' the result on the other, traders may start positioning themselves for another possible flare up in the region. The Dow Jones was no stranger to these concerns last night, dropping 75 points to 16,339 as investors were also scared by the first ever corporate debt default in China. Yesterday's shocking drop in Chinese exports weighed on global markets throughout the whole trading session as it fuelled renewed concerned regarding economic growth. When combined with the fact that the world faces some serious geopolitical challenges, one would expect a selloff. Nonetheless, markets must have continued to look at the good US employment figures from last week as the Dow Jones only shed 13 points to 16,420. European indices are set to open flat this morning as traders tread cautiously. The negative cues seem to be stacking up, with concerns over China, Ukraine and the likelihood of continued tapering after a good Non-Farms number not suggesting a positive environment for bulls. Having said that, stock markets have recently demonstrated a remarkable ability to shrug off negativity and the major indices are still bouncing around recent highs. Spread betting markets are seemingly being supported by the mentality that equities remain the only game in town, meaning that the 'buy the dips' strategy continues to hold sway. The US jobless rate surprisingly rose to 6.7% from 6.6% despite Non-Farm Payrolls data that showed a 175,000 gain in employment in February, against estimates for a 150,000 advance. Investors saw the good side of the data, especially considering the cold weather, and pushed the Dow Jones 26 points higher to 16,455, thus discarding the lingering concerns regarding the standoff in Ukraine.